In my first post about chronic pain I explained the difference between chronic pain and acute pain and how pain functions in the body. In my second post I talked about central sensitization and how this complicates treatment for patients with chronic pain – making them, quite literally, feel more pain, more easily with less stimulation. So now I want to put this in a real life context. 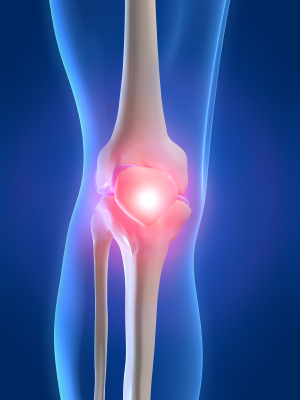 Recent evidence suggests that as many as 20% of patients who have a Total Knee Replacement (TKR) continue to suffer chronic pain after surgery. The follow up looked into who this 20% might be – are there any common themes? We know women have a higher incidence of chronic pain. We also now know that pain messages in women are conveyed using a different biological system to men. So it makes sense that women don’t respond as well to the pharmaceutical options, the pain persists and then they get caught in the central sensitization / chronic pain loop. There have been a number of studies linking depression to pain. It’s still a bit chicken and egg – does depression make people more sensitive to pain or does the pain lead to depression? But many NHS pain management clinics in the UK use anti-depressants as part of their pain treatment plan. And then we get to the last one – higher pain intensities before surgery. As I have spoken about in Part 1 and Part 2, patients with chronic pain and central sensitization feel more pain more easily. So even though the original cause of pain is resolved (new knee), their system is still overloaded, the lion is still in the room. Central sensitization ignored so pain persists. So I’ve got knee pain . . . .
Get treatment early before the pain becomes Chronic. And treat the actual problem, don’t just mask it with painkillers. If you have already had a Knee Replacement or other Knee Surgery and are still in pain, get help. You’re not crazy, you’re not making it up. Your entire nervous system needs to be supported and your body needs help to understand that your knee doesn’t need protecting anymore (that’s what pain is, a protection signal).